Any kind of business needs a marketing plan to advertise the product. Especially, when you are into a real estate business, you need to go with the smart way of advertising your business. There, you have to follow some steps to Create Real estate ads, effective enough to grab the attention of the targeted audience. Let’s dig a little deeper into it and find out, How To Create Real estate ads for better conversion. There are many retailers ready to go blind on advertising without studying the prospective customers and end up, creating the mess. Targeting potential clients with their interests is the best way to make Real estate ads. You can even take the help of modern advertising platforms like Instagram and Facebook as these social media platforms help you with more details. Add attractive details like ads for farmhouse buyers, for the first time home buyers etc and place your advertising using these filters. You can even give a try to the popular advertising websites. Choosing a selling pitch is also a vital element of the real estate advertisement creation. Remember that you do not want to confuse the customers. Be specific and go with a single Selling Pitch with each advertisement campaign. Like if you are targeting the farmhouse buyers, design your advertisement template accordingly, without any complications. Instead of going with the models for the promotion of real estate property, it is always advisable to go with real-time clients. The pictures of the genuine customers create a feeling of security and satisfaction to your prospective customers, by making them feel, how realistic your advertisements are. Are you interested in an advertisement flyer or website which is complex and loaded with complex designs ? The answer would be a ‘No’. And, that is the reason why you should always go with a subtle and elegant looking advertisement template. Doesn’t matter where you are about to distribute your ad, it should look simple, with clear text and fewer pictures. Using these steps one can easily create attractive Real estate ads. All you have to do is follow the mentioned steps attentively and create a plan for the same. I hope you see the best results when you’ll put this ad into action. 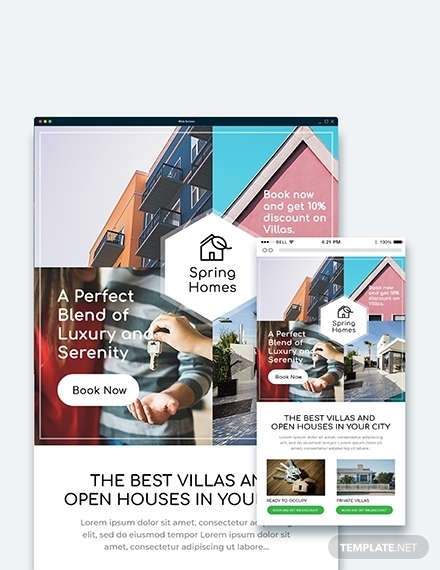 Loaded with high-quality graphics files, layouts, and photos, Real Estate Advertising Poster Template is a good option for the business advertisement via poster. This template is supported by Illustrator, Photoshop and Pages. This one is easy to edit and one can customize it effortlessly as per the requirement. We all are very much aware of the fact that no social media website is as popular as Instagram. Also, social media advertising is a good method of business promotion. 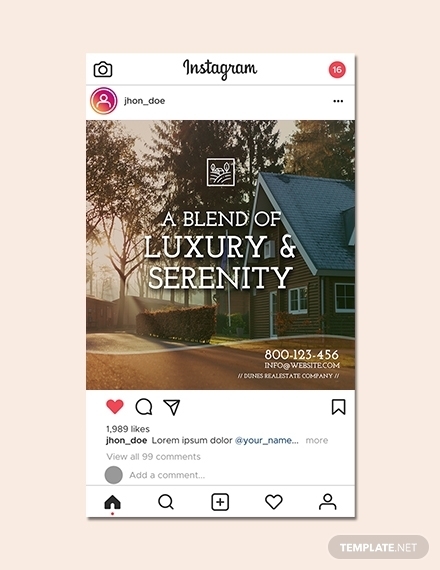 You can use this luxurious Instagram Real Estate Ads Template and gain popularity for your business. If you are a retailer willing to promote your business using emails, then this template is just your thing. It is an easy to edit, fully customizable template available in both HTML and Photoshop format. 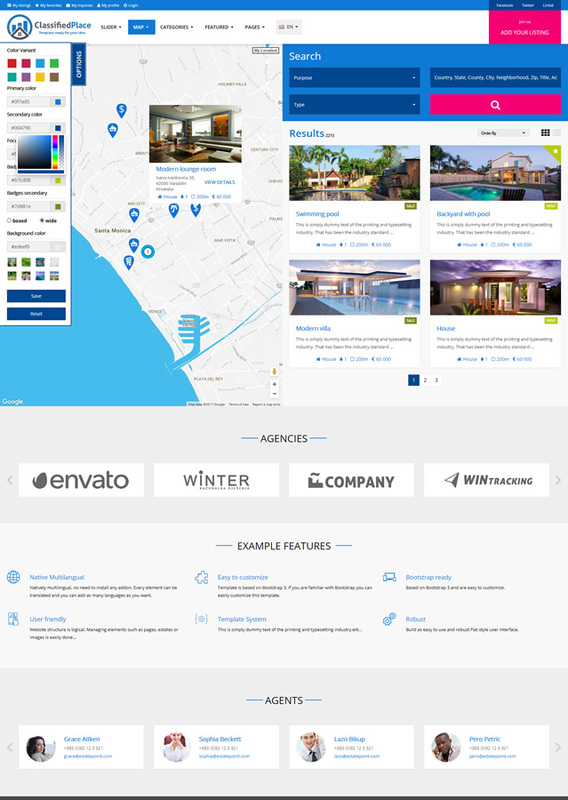 Available with features like Real Estate Property Listing, Business Directory and Yacht Boat Market, this template is a complete package to promote your business. 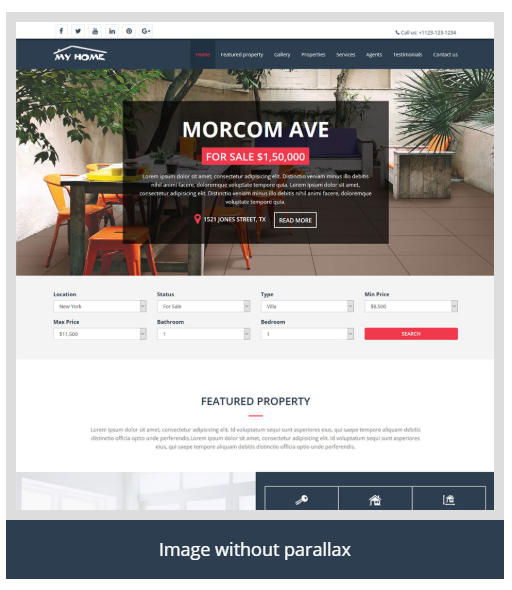 With this template of Real Estate Ad, you get top-notch specifications like the clean design, 5 home page layouts, shop page and Google web fonts. This is a simple yet very effective ad template used to grab the attention of the viewers. 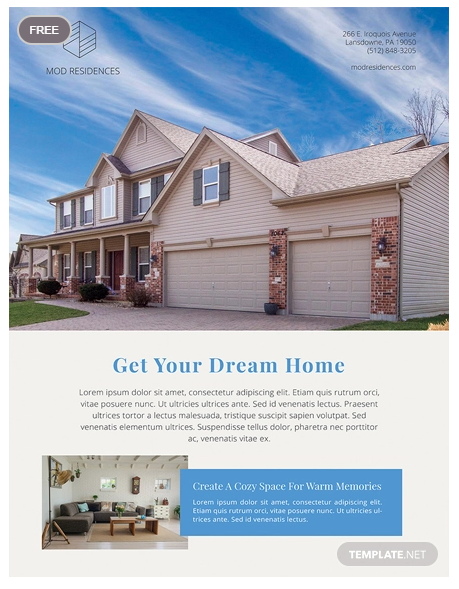 If you are looking for a single paged template for a single home purpose you can go with My Home Real Estate Ads Template. 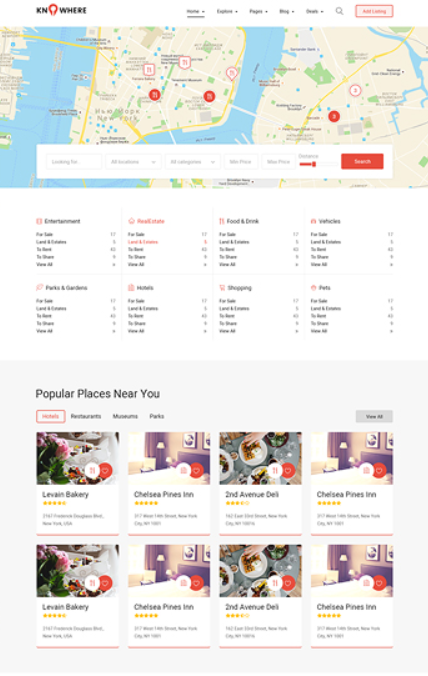 It comes with Stylish Google Map, Isotope Premium Gallery, Google Font and Unique and Modern Design. Gain massive esteem by putting the advertisement of your real estate business on Facebook. This template is equipped with features like typographic lockup and fully controlled advert elements. 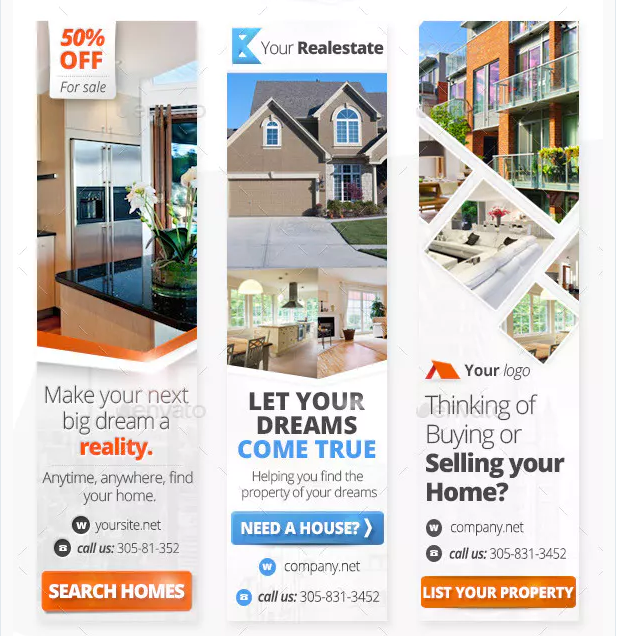 It is a premium Web Banner template for real estate advertising. It covers 3 sets of web banner, creatively crated design and elegant font. You can use this banner to advertise on social media platforms like Facebook and LinkedIn. 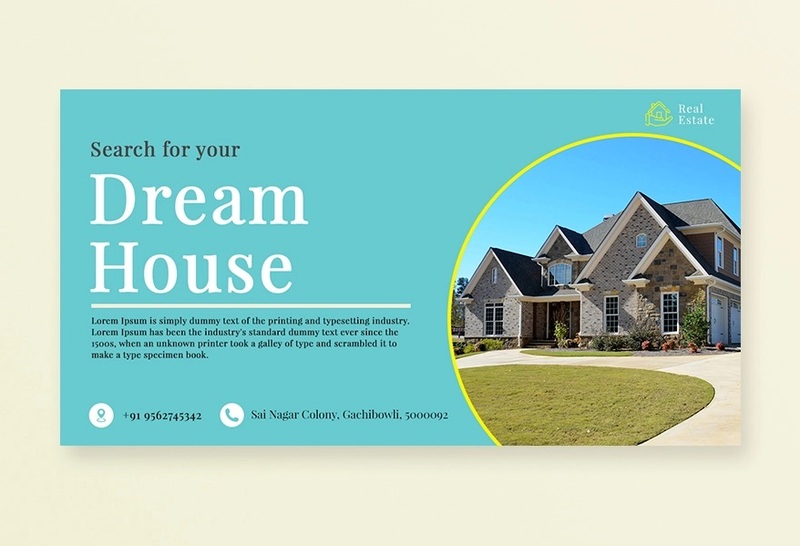 Flyers are still the most preferred way of advertising your real estate business and this beautifully designed, highly professional template can help you achieve your goals. You can even print this flyer and go for manual distribution, which is also a get advertising technique. 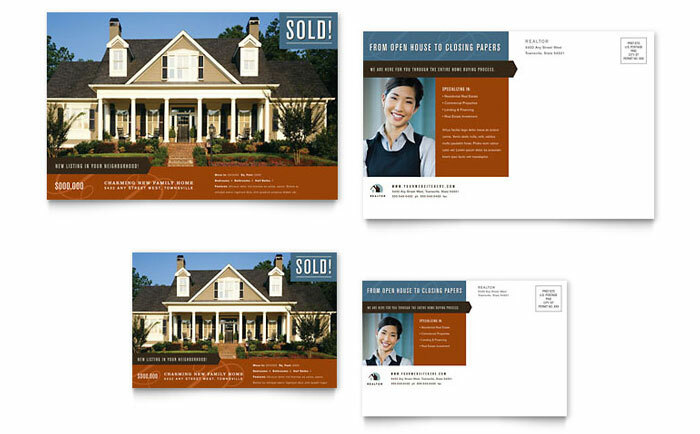 Searching for a postcard template to advertise your real estate business? 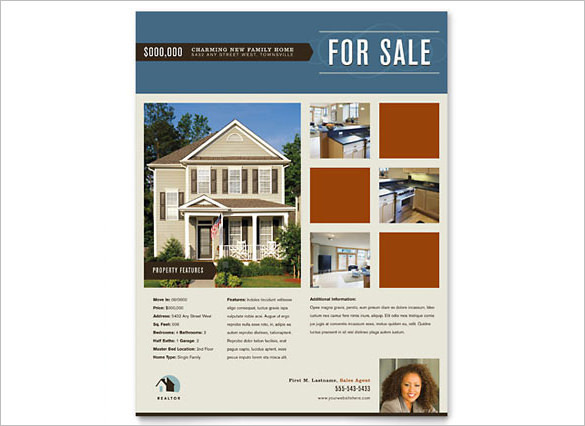 You can efficiently promote the real estate business of yours using this postcard template. This one is designed straight from the hands of the professionals and hence gives a very premium look, which makes it an attractive piece for marketing.